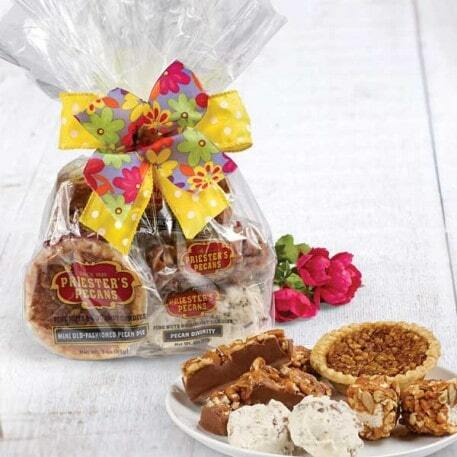 This delightful gift bag is a delicious assortment of Priester's favorites. 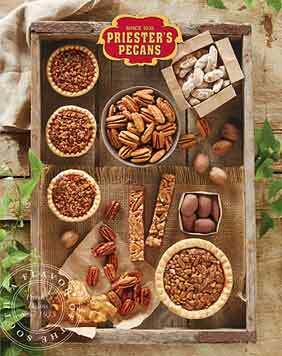 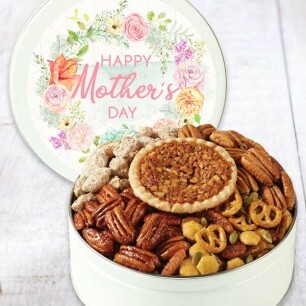 This gift bag includes Fiddlesticks, Pecan Divinity, a Pecan Log and a Mini Old-Fashioned Pecan Pie. 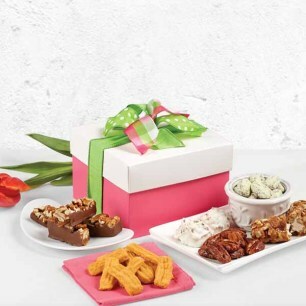 This sweet gift is tied with a decorative ribbon and is the perfect gift for teachers, friends, and family!